LoneStar Grande frames are a thick modified square frame lets her show her bold side in either wine tort, blue tort and tortoise. Your LoneStar eyeglasses come with Zeiss® precision single vision lenses. These precision lenses are designed with quality material and engineering to provide you with accurate and clear vision. Price includes ready-to-go single vision lens. You are unique. Use the options below to make your eyewear even more comfortable for you. Lonestar eyeglasses come with strong, high quality plastic lens that provide clear view and are ideal for regular prescriptions. Protect yourself from harmful blue light rays emitted from digital devices and computers. Upgrade information. Within the first 18 months of the original purchase, the first replacement due to breakage or damage to frame or lenses is at NO charge. Any number of additional replacements due to breakage or damage to the frame or lenses is subject to a $25.00 co-payment. If the same frame is not available, replacement will be made with another of your choice, of equal value to your original purchase. This plan does not cover loss of eyewear, industrial eyewear or theft of eyewear. Only Single Vision lenses are available online. 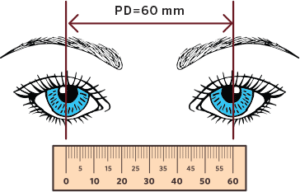 OD/OS ADD indicates you need multi-focal lenses. Visit a nearby TSO office for the accurate multi-focal fitting that will be truly comfortable. Based on your prescription, a High Index Lens upgrade is recommended. Your eyeglasses will be lighter, thinner, and look younger. We are proud of our state and its unmatched beauty. From the big skies of west Texas to the beautiful fields of wild flowers in the hill country, Texas has its own natural beauty. 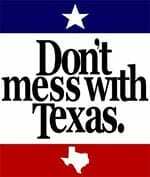 We value and protect this by supporting the state’s Don’t Mess with Texas campaign. With the purchase of any Lone Star frame a donation will be made to the Keep Texas Beautiful program of the Texas Department of Transportation. With each purchase you help keep Texas beautiful. UPGRADE Super thin 1.67 High Index polycarbonate lenses provide a younger appearance especially for stronger prescription lens. UPGRADE to Zeiss DuraVision BlueProtect lens coating for people who spend a lot of their time indoors and are exposed to harmful blue-violet light from LEDs as well as TV, computer or tablet screens. Reducing the eye’s exposure to this type of blue light was proven to damage retinal cells in lab settings. Read more here. UPGRADE to Zeiss® PhotoFusion The self-tinting lenses that react fast to changing light. PhotoFusion was created by ZEISS experts to meet consumers’ expectation of self-tinting lenses that darken and turn clear faster*. The introduction of PhotoFusion in 2011 has revolutionized the comfort of wearing eyeglasses outdoors. More here. Zeiss is the leading brand in precision optics. NASA, Google Earth, Nobel prize winners, and Hollywood producers, you can enjoy the quality offered by ZEISS, the pioneer in precision optics. Copyright © 2018 Texas State Optical. All rights reserved.